All ISLES AT WELLINGTON 3 homes currently listed for sale in Lake Worth as of 04/26/2019 are shown below. You can change the search criteria at any time by pressing the 'Change Search' button below. 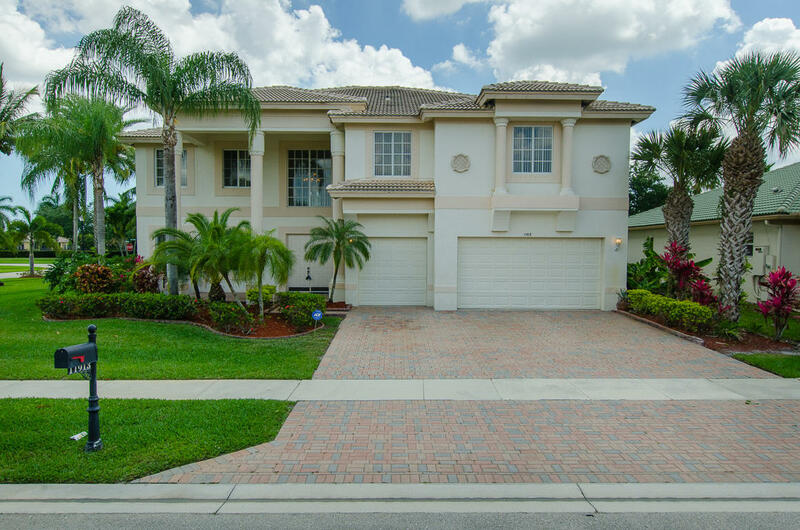 "Grand 5 bedroom, four bathroom estate home in a great school district of Wellington offers 4,000+ square feet, lots of natural light and open areas. This corner lot house features two covered patios, one on first floor and one off the master bedroom on the second floor. A loft for the kids to play in or for use as a study. Luxurious marble tile in the living room, laminate in the family and comfy carpet upstairs. Open kitchen overlooks the family room. Three car garage plus a huge driveway for lots of parking. Includes hurricane panels. HOA fee includes cable, HBO, Internet and alarm monitoring. The community plans many activities including movies and family events."